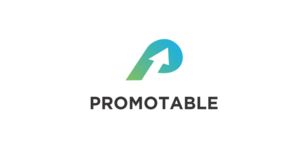 Promotable offers a part-time, 6-week course in data science and data analytics in Chicago, IL, Washington, DC, and San Francisco, CA. The program provides flexible weekday and weekend classes in SQL, machine learning, data visualization, Tableau, and Python, aiming to help students gain a competitive advantage with one of the most in-demand skills in the world. 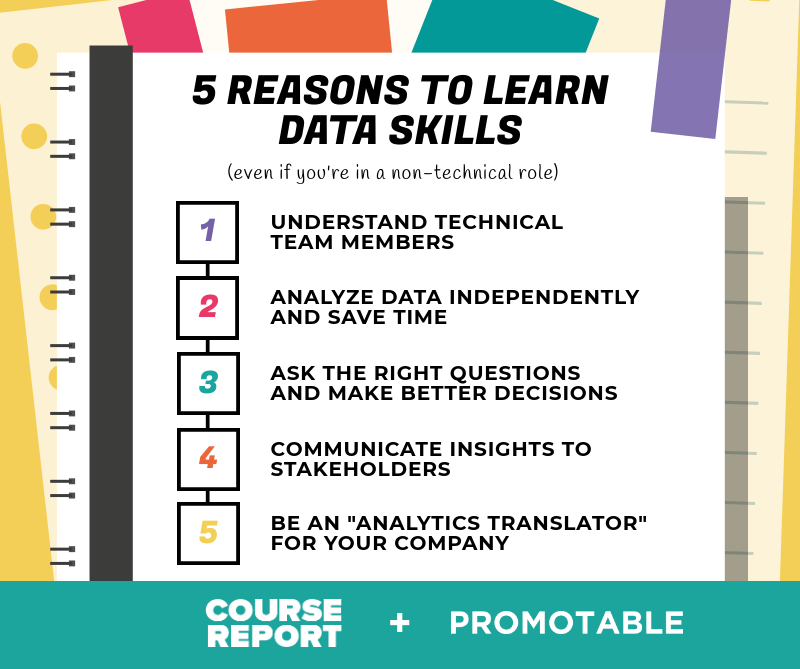 Promotable also offers short beginner courses in data analytics and Python. By joining Promotable, students gain access to a network of instructors, partners, and students who work at a variety of companies and want to help each other succeed. All instructors are current data scientists who work at industry-leading companies and learning is done in small interactive groups. After completion of the bootcamp, graduates receive a Certificate in Data Analytics. Students will use industry tools like SQL, Tableau, and Python, to analyze large real-world data sets. Payment plans available. Email hello@promotable.io for details. I can't say enough about Promotable. When I signed up for the course, I really didn't know what I was getting into. I had looked at comparable programs online, but they were all much more expensive. I was worried that a less expensive program would be lower quality. This could not have been further from the truth. The comprehensive overviews of SQL, Python and Tableau helped me develop a strong foundation and sense of confidence. I feel very comfortable that, whatever I may want to do with these languages and programs, I can figure it out or look it up from a reliable source. The class sizes are small (some days we had as few as 6 people, at most we were at 10), so I received personalized attention when needed. The instructors were also great. Data scientists and visualizers who use these tools daily in their industries (and work at the type of companies that I would like to work at some day). I was surprised that they were so available -- at any time via slack and/or email. resources to take my training to the next level outside of class. Promotable also has an eye towards helping you to get your next job in data analytics. The projects throughout the course allow you to build a portfolio of work, and Aaron and the instructors offer an open door to connect students with individuals in the tech industry in Chicago and probably other major cities as well. Aaron, the Promotable CEO is also very hands on and helpful, often going the extra mile to make sure everyone has a good experience. Once, he even waited for me outside the office where the class was being held because I was running late and he was worried I would be locked out. If you are considering Promotable at all, just go for it. The only reason the instructors got 4 stars is because they are data scientists first and not typically teachers so sometimes they move a little quickly, but they were very receptive to feedback and, as I mentioned, answered questions both during and outside of class. This was an excellent experience for me to gain skills in data analysis. I previously came in with Excel and SQL knowledge. The SQL work was not particularly new to me, but I still gained good practice and experience. I particularly enjoyed the Python portion of the course. Python is a difficult language to learn initially, but the course broke down the basics at a good pace. Aaron set the expectation that you will get the most out of this course if you come in with a plan. I came in with a concept for my Python project and worked hard to reach my goal. My teacher was excellent and stayed after class with me to answer any specific questions I have. The best part of the course is you are able to work on projects which ultimately shows off your SQL, Python, and Tableau skills. I would recommend this course for someone with beginner level skill or no experience in data analysis. It was a deal at $35 and I felt I got the most out of this class than paying a hefty sum at General Assembly. I liked that they focused on Dashboards (Pivot Tables) and they walked you through it. One suggestion would be to charge a little more and make this a 3-hour course or even a 2 day course. There were so many more things to learn and I was having fun so wish we could have delved a bit further. But all in all, the instructor was very knowledgeable, organized in how he taught the lesson, and I made the nicest and neatest looking chart ever. Going into the workshop I had only interfaced with excel on a basic level. Expense Tracking & Financial Modeling. I left the workshop having a positive grasp on utilizing pivot tables & creating fluid / dynamic dashboards. Highly recommend this workshop & future ones. So you’ve heard companies talk about how important data is to their operations and revenue. Everyone from Fortune 500 companies to small startups seems to talk about being “data-driven” or using “big data.” But if you’re not planning to become a data scientist, do you really need to learn how to manipulate data? As the founder of data bootcamp Promotable, I’ve spoken with executives from across the spectrum – tech, non-tech, Fortune 500, middle market, and startup companies. All are making investments in data. And I’ve learned that everyone can benefit from a data skillset, even if you’re not working in a technical role. An email with these details has been sent to Promotable. You've already applied to this scholarship with Promotable.